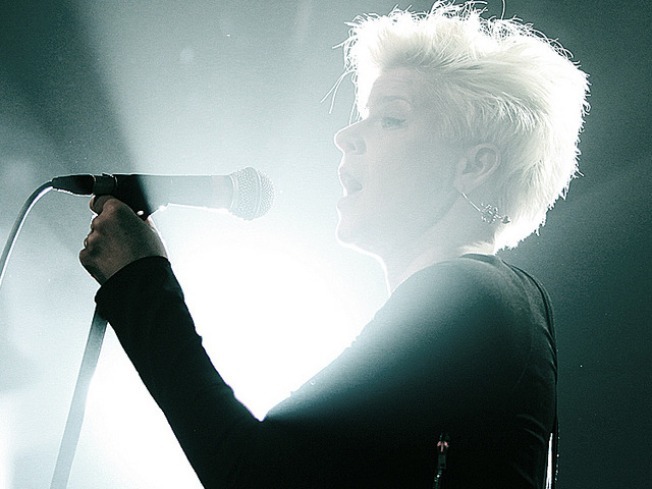 Robyn takes the stage at Webster Hall tonight. BLONDE AMBITION: Swedish teenybopper-turned-electro star Robyn is—despite those last two descriptives—unpindownable. Yes, her new album Body Talk Pt 1 sees her collab’ing with fellow Nords Rőyskopp, but have you heard her gorgeously spare cover of Kelly Carkson’s Since U Been Gone? Needless to say, you have to see this shapeshifter live as part of her All Hearts tour (with Kelis opening) at Webster Hall tonight or tomorrow. 6PM. FUSION: Join hottie Swedish-Ethiopian (Swethiopian?) Top ChefferMarcus Samuelsson at the newly refurbished bar at Bleecker Street’s August for a tasting of small plates based on his creations for Top Chef Masters. No reservations taken—just sidle up to the front bar during regular dinner hours, 5:30PM to 11PM.